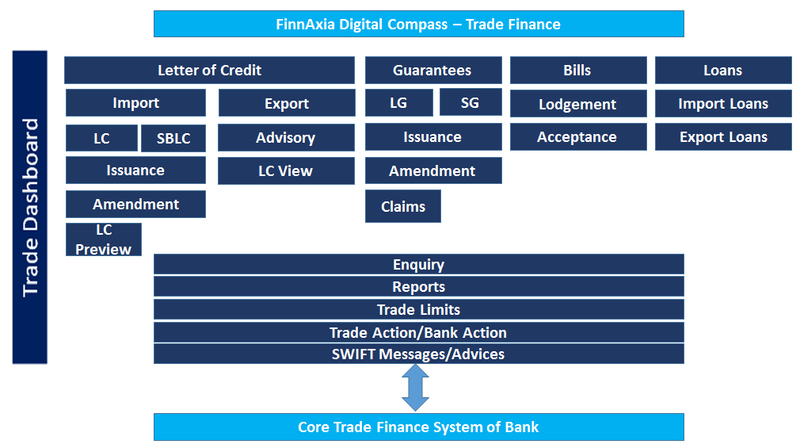 FinnAxia Trade Finance Portal provides corporate customers with a digital front end to not just apply for and view Letter of Credits (LCs), Letter of Guarantees etc. but also track bills under LCs/Collections. The portal provides a single, global view of the corporates’ trade finance business which helps reduce the risk of fraud and also enables the bank to make faster and more efficient financing decisions. 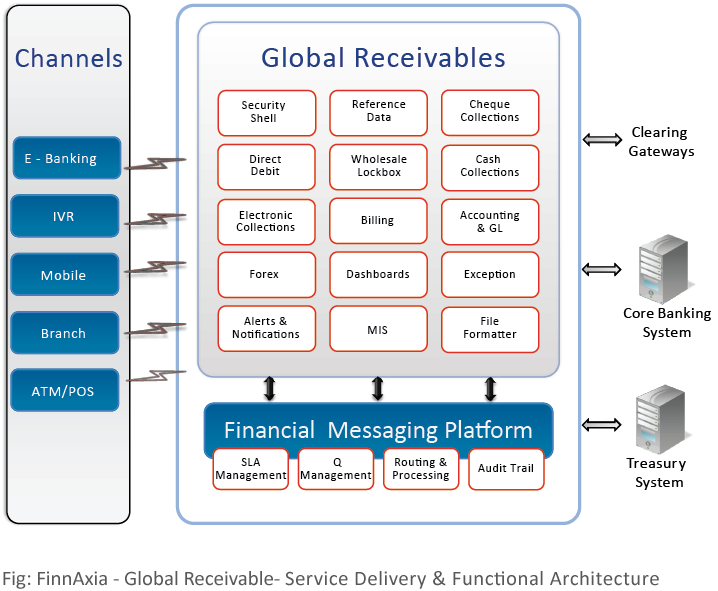 Banks can reduce compliance costs and optimize working capital for their customers by simplifying and automating trade finance processes. With FinnAxia Trade Finance Portal corporate customers can initiate the full range of trade finance transactions including LCs, SBLCs, Guarantees, Shipping Guarantees, Collections, Remittances and Stand-alone Finance. The solution provides a single platform for importers and exporters. The importers can raise LCs which can be viewed by their exporters. On completion of the shipment of goods, exporters can raise bills online-which can either be tagged to an LC or be independent of one. The importers can then view and accept bills raised by the exporter or alternatively request a trust receipt loan against a raised bill.